Itâ€™s now been announced where you will drive next year; how does that affect the rest of your season? Hopefully it means I wonâ€™t be asked so much where Iâ€™m driving next year, but maybe it means more questions. For my racing this season it doesnâ€™t make any difference. Iâ€™ll keep pushing at every race to get the best result I can. I really like going to Singapore. Itâ€™s a great place to be, I love the local food, and I donâ€™t mind the unusual times we run in the car as it means I donâ€™t have to get up so early. I have some unfinished business after my three Grands Prix there so far, as I enjoy the circuit but have not yet had a podium. That doesnâ€™t mean Iâ€™m not quick there as Iâ€™ve been told I still hold the lap record from 2008. I crashed while fighting for fifth place that year, finished down in tenth in 2009, and took sixth last season, so I want more this time. In the first years of the race being held I was a little bit surprised by how people were talking so much about the different timing. Obviously when they switched on the lights it was exactly the same as racing in the day time. I think everybody in Formula 1 enjoys the night race. Itâ€™s worked out really well as Singapore is a buzzing city and lots of people turn up. Apart from one or two dark spots in the run-off areas the circuit is very well lit, so there is not a big difference to racing in the day. Regardless of being at night, itâ€™s a street race; what effect does this have? Monaco was not that good for us but there is no reason why Singapore should be difficult. Like at every street circuit itâ€™s very difficult to pass other cars there, so starting the race as high as possible on the grid is very an important factor in getting a good result on Sunday. Everybody will bring updates to this race so weâ€™ll have to see what difference that makes. Itâ€™s a case of trying to get the maximum from our package and working on achieving the best balance. If we get everything right we should do okay. We saw rain last year in Singapore and itâ€™s no secret that our car sometimes struggles in wet conditions. Itâ€™s something weâ€™ll deal with if it happens, and as always the weather is the same for everyone. After these two weekends with zero points itâ€™s nice to get back to a circuit we expect to be more suited to our car. We seem to go better at high downforce circuits thatâ€™s for sure. The car actually worked surprisingly well at Monza during the race so it was a shame we lost so much time at the start. After getting the new nose, our race pace was not too bad. Whatâ€™s your target in Singapore? Obviously, the podium is a target again. Weâ€™ve had two races without scoring any points so we need to score as many as we can in the remaining races this season. You donâ€™t win Championships by not scoring points. Weâ€™ve had two races where we havenâ€™t scored which is not ideal. Weâ€™re here to race and score as many points as we can. Of course, thatâ€™s what everyone is trying to do so we just have to keep pushing and hope that we have some pretty good races for the rest of the year, then weâ€™ll see where we end up in the standings. Singapore is a pretty fantastic place and the race is always a challenge. I love street races; thereâ€™s something about racing in the middle of a city. We race at night which means it looks amazing for the fans, but in the car thereâ€™s not so much of a difference for us as drivers as the lights make it seem like itâ€™s daylight on track. Another thing I look forward to when visiting Singapore is the noodles! The difference for us is our schedule over the weekend, as we stay on European time and try not to adjust to the local time zone. To do this we arrive in Singapore a bit later than we would for other flyaway races, where we would normally arrive early in order to get our bodies working on the local time and avoid jetlag. This means we can get a good amount of sleep, including sleeping in late relative to the local time. Our regular fitness programme means that the race lasting longer than others should not be a problem, but something you have to prepare for in Singapore is ensuring you always keep well hydrated as the heat and humidity can easily dehydrate you. Itâ€™s a fun layout to drive, with the last section being my favourite part of the track. Itâ€™s certainly a physical race, with lots of kerbs, some bumps on the track and frequent use of the brakes. Itâ€™s certainly not a circuit with a long straight where you can take a rest! The layout and the fact itâ€™s a street course donâ€™t make it easy for a driver or the engineers. It can be difficult to find the amount of grip you want so we have to work hard to get the setup working well. There isnâ€™t much margin for mistakes as the walls are very close, but this does mean that thereâ€™s a great feeling when you get a good lap as itâ€™s very special to be driving at the limit around a street course. I think so, yes. Itâ€™s a very high downforce track and that seems to suit us best as we saw in Budapest. In terms of the tyres I think we should be looking good too. Certainly, we should be able to perform stronger than at the last two races which havenâ€™t always suited our car. Thereâ€™s a lot of talk and movement in the driver market at the moment; how does this affect you? I am keeping focused on this season by doing the best job I can for the team and showing my value on track. We have some fantastic races ahead and itâ€™s going to be a busy couple of months. Iâ€™ll be pushing to do the very best job I can and I know the race team and everyone at Enstone wants to finish this season with the strongest results possible, so naturally we want to get back on the podium as much as possible. Kimi has been announced as driving elsewhere next season; how does this affect the team? Obviously, it was no secret we wanted to keep him, so itâ€™s a disappointment that he wonâ€™t be driving with us in 2014. Despite this, we know Kimi will be pushing hard for the remainder of this season to secure the very best results he can for himself and the team, and his fighting drive in Monza shows just how well he can push. In the same breath, Enstone has once again proven its pedigree; providing Kimi with two great cars and making his return to Formula 1 a success. Itâ€™s been a win-win situation right from the beginning. Naturally, we have made preparations in case he decided not to continue driving with the team that brought him back to Formula 1, and Iâ€™m confident that we will have a very strong driver line-up next year. We've had Schumacher, Alonso, RÃ¤ikkÃ¶nen; new champions will join the list here soon I'm sure. Monza wasnâ€™t our best weekend in terms of results; how does this change the approach to Singapore? If you want to be competitive in both Championships, you need to be able to fight at the front every weekend; on Saturday as well as on Sunday. The positive from Monza is that we showed fantastic race pace and both drivers drove exceptionally well. The negative was that we couldnâ€™t qualify where we needed to be. The results at the end of the last two races werenâ€™t a just reward for the teamâ€™s efforts, but there are plenty of positives to take from Monza; most notably the superb race pace from Kimi as he fought his way back through the field. We head to the final flyaway races with plenty of fight left in us. Will the team be able to return to the podium in Singapore? There's no reason to think that a podium will be out of reach. 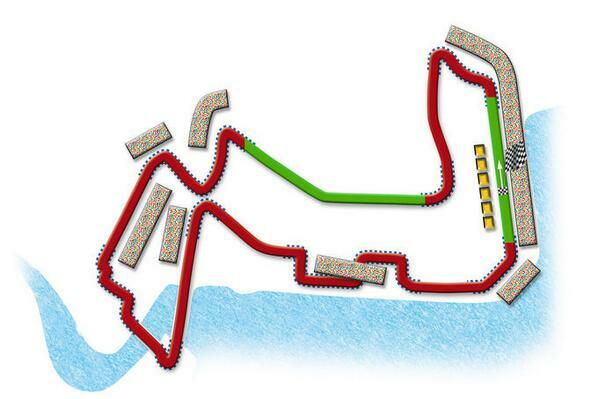 We've been quite competitive on twisty circuits this year and Singapore shares a lot of Monaco's characteristics. Romain loves that type of circuit, while Kimi has always been quick in Singapore. It will be an interesting weekend. What opportunities does a street course offer the team? Itâ€™s probably best we donâ€™t mention the wall, but itâ€™s true that we probably have a better car on high downforce circuits like Singapore than medium downforce tracks like Spa where we struggled a bit. We have a good reliability record, a durable car, and the Singapore Grand Prix is likely to be one of the longest of the year in terms of running time. The team has not scored well in the Championships over the last two races; how does this affect preparations? Obviously we want to get back to scoring as many points as we can, and it is only three races ago in Budapest that we scored the most points of any team. We are comfortably ahead of McLaren in the Constructorsâ€™ Championship; in fact we have almost three times the amount of points they do with 191 points to their 66. This team has bounced back before and we are focused on achieving the very best results we can over the remaining seven races of this season. There was a new deal sealed with Emaar Properties over the weekend of the Italian Grand Prix; what does this mean for the team? We are always looking to expand our portfolio of partners with brands of the right calibre for the team, so we are delighted about this new relationship with the developer of such iconic projects as Burj Khalifa and The Dubai Mall as it positions us very strongly moving forwards. What is the main challenge of Singapore? Itâ€™s the longest race of the year in terms of running time thanks to the low-speed nature of the circuit. Unlike Monaco, it still reaches the full 300km race distance which makes it quite tough for the drivers physically. Being a street circuit, thereâ€™s also a reasonable amount of track evolution as the weekend progresses; again not to Monaco levels, but enough to be a consideration. Does a night race throw a different dimension into the mix? Racing at night is of course a change from the norm, but itâ€™s one that the teams and drivers really enjoy and it certainly doesnâ€™t cause any problems. Track temperature will remain constant at around thirty degrees once darkness has fallen, so while itâ€™s not excessively hot it will equally never get too cold during the sessions that count; i.e. qualifying and the race. Whatâ€™s required from the car here? We run maximum downforce here to cater for the stop-start nature of the track layout, with a good all-round package required. Traction is important, as are good change of direction and agility. You also need a car which is good over the kerbs, although turn ten â€“ where the most severe kerbs have traditionally been located â€“ has been changed for this year, meaning that this may not be such an important consideration given the relatively smooth nature of the remaining kerbs. Singapore is not actually particularly tough in terms of brake wear, but more so in terms of managing temperatures. There arenâ€™t many heavy braking zones around the track, but the frequency with which the brakes are required combined with a lack of straights to aid cooling means that the system inevitably runs quite hot. Itâ€™s something every team needs to pay attention to, but it doesnâ€™t give us any particular cause for concern. Overtaking has always been a challenge at Singapore, but this season sees the introduction of a second DRS zone; what impact will this have? The additional DRS zone along the pit straight is very short so we wouldnâ€™t expect that to have much of a bearing on overtaking. It may help a driver close up to the car in front through the opening sequence of corners, but even the original section from turn five to seven is quite a tricky place to make a move so itâ€™s unlikely to have a major influence. How much emphasis does this therefore place on qualifying? As with places like Monaco or Hungary, thereâ€™s no doubt that this is a circuit where qualifying is of higher importance than at most other venues. The allocation of super soft and medium compound tyres will potentially add to this too. Weâ€™ll likely use the supersoft for qualifying and the medium for the race, but with the stiffness of this yearâ€™s medium tyre being relatively similar to last yearâ€™s soft, plus the additional knowledge the teams now have in terms of managing degradation, we would expect overtaking to be difficult at best. Will we be seeing anything different on the car this weekend? We return to a high downforce configuration, with some of the front wing developments brought to the car for the recent low downforce races being carried over. Aside from that itâ€™s business as usual with a package which we know works well from our performances in Germany and Hungary. We didnâ€™t have the greatest of weekends in Spa or Monza, so weâ€™re looking forward to a return to the higher downforce tracks that arise in the next few races where the aim is to get back on the podium. With the European season done and dusted itâ€™s a busy schedule of back-to-back flyaway races between now and the end of the season; how does this affect the team? I think it depends on the individual. Personally I very much enjoy the flyaway races and the back-to-back element which comes with them, but some might prefer the short-haul events. Everyone is looking forward to Singapore thatâ€™s for sure; itâ€™s one of the highlights of the year and we have a few races in Asia soon afterwards which are always interesting too. Itâ€™s quite a long season, and by mid-November weâ€™ll all be looking forward to a break Iâ€™m sure, but for the moment weâ€™ve had a couple of well-spaced races off the back of a decent break in August and are raring to go in Singapore. Approaching Turn 1: The second fastest part of the track, with speeds of around 290kph reached before Sheares corner. This is followed by hard braking to around 90kph at Turn 3. Approaching Turn 7: The fastest part of the track, with speeds of around 298kph reached before the sharp left hander of Memorial Corner. Turns 13 + 18: Two of the slowest parts of the track, with speeds of around 80kph and extensive kerb usage for the quickest line. Turn 14: Another slow corner taken at just 85kph. Kerbs: Although kerbs are used extensively here, the majority are relatively flat. The exception to this in the past has been Turn 10, however this corner has been be modified for the coming weekend. Lighting: During the event, 108,423 metres of power cables, 240 steel pylons and around 1,600 light projectors with a total power requirement of 3,180,000 watts will be used. With an illumination measurement of around 3,000 lux, the lighting will be four times brighter than that of most sports stadiums. Rear Wing: Maximum downforce is required here, especially with so many low speed corners and frequent traction demands. Front Wing: Maximum downforce once again, as understeer could prove costly with the walls so close. Suspension: There are several high kerbs around the circuit requiring good suspension compliance, although Turn 10 has been re-profiled for this year, meaning the very high kerbs previously in place through that particular corner will be different. Continual braking demands also call for a softer car; a requirement balanced against wanting to run the car as low as possible without wearing the plank too much. Brakes: Brakes are under constant use here. Although none of the braking demands are individually severe, the relentless nature of continual braking gives scarce opportunity for cooling. This affects the discs, pads and even the brake callipers themselves. Engine: With an average speed of under 170kph, engine maps are designed to target driveability through the lower revs. Of the 23 corners 10 are taken in second or first, 7 in third and only 1 is taken in fourth gear, meaning the engine is working at between 8,000 and 13,000rpm for the majority of the corner apexes and exits. Tyres: Pirelliâ€™s supersoft compound makes a return alongside the medium, which is a change from the 2012 allocation of soft and supersoft. With 23 corners, the tyres have to perform very well under traction and braking. One of the biggest causes of tyre wear is wheelspin, so rear suspension will be set up to give maximum longitudinal grip. Singapore is a long race â€“ normally running right up to the 2 hour limit â€“ which puts further stress on the tyres; particularly as the cars carry one of the heaviest fuel loads of the year. One factor in favour of the tyres is that â€“ being a night race â€“ the track temperature drops from a peak of around 50Â°C in the day to closer to 30Â°C during running times. Founded in 1999 by filmmaker Jeremy Gilley, the non-profit organisation Peace One Day drove the initiative that led to the unanimous adoption by the United Nations member states of an annual day of global ceasefire and non-violence with a fixed calendar date of 21 September; Peace Day. Peace One Dayâ€™s campaigns in education, music, film, sport, dance and art have proved that the day works. Throughout the years, millions of people have been active on Peace Day in every country around the world, and hundreds of organisations have carried out life-saving activities in areas of conflict. Notably, Jeremy and Peace One Day ambassador Jude Law travelled to Afghanistan to spearhead a campaign that, over the years, has resulted in 4.5 million children being vaccinated against polio in hitherto unreachable areas, as a result of Peace Day agreements by all parties in the region. Peace One Dayâ€™s objective is to institutionalise Peace Day making it self-sustaining, an annual day of global unity, and a day of intercultural cooperation on a scale that humanity has never previously known. Lotus F1 Teamâ€™s support of Peace One Day, featuring their logo on the front wing of both cars, helps the organisation in its mission to raise awareness of Peace Day all over the world. The peace process really has never moved so fast! In fact, according to analysis by McKinsey & Company approximately 280 million people in 198 countries were aware of Peace Day 2012; thatâ€™s 4% of the worldâ€™s population! Furthermore, it is estimated that 2% of those people [a staggering 5.6 million] behaved more peacefully as a result. Peace One Day expects to double these extraordinary figures for 2013 but they need your help! Join Lotus F1 team in helping to raise awareness of Peace Day by hosting the Peace Code on your website or Facebook page. Visit http://www.peaceoneday.org/peacecode/ for more details. Embed the Peace Code, become a global broadcaster, and join the peace process. With your help there can and will be Peace One Day. As weeks of speculation surrounding Kimiâ€™s future finally came to an end earlier this week, we caught up with Team Principal Eric Boullier to reflect on the Finnâ€™s impact at Enstone, what to expect from his seven remaining races in black and gold, and what the future holds for the team. At the Italian Grand Prix, Lotus F1 Team proudly welcomed Dubai-based residential and commercial property investment company Emaar Properties to its portfolio of partners in a new two-year deal. Emaarâ€™s portfolio includes properties such as The Dubai Mall and Burj Khalifa; the world's tallest building. As Official Partner to Lotus F1 Team, Emaar will enjoy a presence on the teamâ€™s E21 car in addition to a range of other Lotus F1 Team marketing collateral. This new relationship builds on the teamâ€™s recent partnerships with brands such as Microsoft, Unilever [Clear and Rexona] and The Coca-Cola Company [burn]. Continuing the spectacular creative collaboration between the two, Official Partner burn has released the first in a five-part video series charting the journey of the burn Collective; a group of top talents from the worlds of Formula 1, skateboarding, music and art. Featuring sneak previews of an Enstone factory visit for Superstar DJ Avicii, plus a re-spray for one of the teamâ€™s show cars by legendary street artist M-City, part one leaves viewers thirsting for more in a tantalising introduction to the series. The weather prediction is usually like that for singapore. Luckily it's stayed dry since the inception of the GP. Kimi thought the media will stop pestering him now because he knows where he is going next year, but now they just have new questions to ask!
" title="ha" /> For this you will have to wait until you get a beard! For this you will have to wait until you get a beard! Drivers - Adrian Sutil (Force India), Nico Hulkenberg (Sauber), Valtteri Bottas (Williams), Sergio Perez (McLaren), Kimi Raikkonen (Ferrari), Nico Rosberg (Mercedes). Q: Iâ€™ll start with Kimi if I may. Congratulations on the move for next season. First time weâ€™ve seen you since the announcement. If weâ€™d have said to you at the start of the season that youâ€™d be a confirmed Ferrari driver by September, what would have said then: no chance, no way or is it something you always thought might be possible? Kimi Raikkonen: I just have to say things change in Formula One a lot. I never had a bad feeling with them really. But I mean I still have a lot friends and good memories from there. I knew that my contract will end at the end of this year so obviously I had to make some kind of decision what to do for next year and now itâ€™s been done. Q: Was there anything that Lotus could have done to keep you with the team or was the attraction of a return to Ferrari just too strong for you? KR: Yeah, there was a lot of things and for sure they know what it is. Itâ€™s hard to say which way it would have gone if that would have had happened but the dealâ€™s done now and Iâ€™m very happy with the new deal. KR: I know the team and I know the people. Obviously there are some new people and some more have left since I was there but most are the same. I donâ€™t think this will be too difficult to go there and do well. The carâ€™s will be obviously different so I think that will be the most difficult thing, to get the cars right and get them running reliable and whoever makes the best car will probably make the best out of it. Q: Thank you Kimi. Letâ€™s turn to Nico Hulkenberg, sitting behind you. Thereâ€™s at least one seat going at Lotus and if you look at some of the headlines on the Internet youâ€™re the man for the man for that team for next season. With due respect to your current team, is signing for Lotus a priority for you? Nico Hulkenberg: Itâ€™s not a priority. The priority is to find a good deal and a good car, a competitive car, and a good package. Nothing is finalised. Nothing has been decided at this point. Trying to sort out all the options and then to come up with a good decision for the future. Q: Your name was of course linked to Ferrari. Did you think you got very close to a move there? NH: I donâ€™t know. I guess so. There was a chance there. Thereâ€™s no point now to think about that too much. Thatâ€™s history now. I have to look forward and move on. Q: You come here fresh with your performance at Monza in your mind. How much of a relief was that result for you given some of the difficulties on track this year? NH: It was a fantastic weekend for us, a great effort by the team. Iâ€™m really happy for everybody there, for the hard work and that finally we could reward them a little bit, and for sure thatâ€™s given us a boost and some momentum for the final seven races. Monza, after a very challenging and disappointing year, has been very happy and good for us. Q: Sergio, Iâ€™m sure youâ€™re really excited to be here in Singapore this weekend but Iâ€™m sure your thoughts arenâ€™t very far away from your fellow countryman affected the tropical storm in Mexico? Sergio Perez: Definitely. Weâ€™re not having a great time right now. A lot of people have lost their houses; other people have died. Things are getting a bit more complicated. Thatâ€™s a bit sad for my country. I will dedicate my race weekend for all my country, all the people that are suffering, losing their houses, their families, so hopefully things can get better. Q: From a personal perspective, this time last year we were discussing your future and linking you to a move to McLaren, which eventually came off. Twelve months on people are talking about your future again. Have you signed a contract with McLaren yet? SP: Yeah, itâ€™s pretty much everything done, I think, But the right thing to do is to ask Martin about that but everything is done. Q: Have there been stumbling blocks along the way or have you been in unanimous agreement with McLaren? SP: Yeah, weâ€™ve been having some discussions about the contract. The contract is done but we are just finalising the final dots. Obviously I cannot give much details about them but everything is pretty much done. Q: Valtteri, driving the Marina Bay circuit for the first time - what challenges lie ahead for you do you think this weekend? Valtteri Bottas: I think itâ€™s going to be a difficult race weekend, like Monaco was first time for me. And then this track, itâ€™s a night race obviously but the lighting is very good and bright so that shouldnâ€™t make a big difference but yâ€™know, itâ€™s a difficult circuit, a lot of corners, so thereâ€™s lots to learn on Friday. Q: Realistically, what are your goals for this weekend? VB: Still our goal is points. This track is a lot different from Monza. We were not really strong there but this is different and it means we can be stronger here. The team was very strong here last year actually, so really hope this track suits our car. We have some little updates and if they work I really think it is possible to fight for the points in the race. Q: Weâ€™re talking about driversâ€™ futures. For yourself for next season is it safe to assume youâ€™ll be staying with Williams? VB: I think we still have to see. Itâ€™s always best to ask the team, they know the best what they are going to do but at the moment Iâ€™m very confident with Williams and comfortable and really would like to continue. Q: Weâ€™ll stay on that theme. Adrian, your chances of staying with Force India for next season? Adrian Sutil: Yeah, I would be happy to do another year. Iâ€™m just back into Formula One, more than half a year only. It would be OK but I havenâ€™t really lost too many thoughts about it yet. Itâ€™s quiet at the moment. Q: You and the team havenâ€™t sat down and started to look ahead just yet then? Q: And this season, the form of the team, it was an upward curve and then the tyres changed. We had the construction from last year and the compounds from this year and the teamâ€™s form seemed to take a bit of a dip. Is it all tyre related? AS: Yes, I think so. Since the new tyres came in it was clearly a step down for us. We used to be able to do one less stop in the race which was a big advantage compared to others and also the general balance of the car was much better and we lost it a little bit now, last few races. Spa was still OK but Monza was a big disappointment. Coming here of course we try to improve our performance again. I donâ€™t think we get everything out of our package and we donâ€™t develop the car any more - thatâ€™s clear - but itâ€™s not different to other teams. So, we have to get back again where we used to be and I think even with this car what we have, we can show more in Singapore - here I expect a better performance. Q: Is that very similar to yourself Nico Rosberg, that after the disappointment for the team in Spa and in Monza, Singapore, totally different track, Mercedes should improve? Or are you fearful of another disappointing weekend? Nico Rosberg: Spa wasnâ€™t really a big disappointment. Of course it wasnâ€™t a win - and weâ€™re aiming quite high recently - but still it was a great points haul for the team with third and fourth. Monza, yes, didnâ€™t go to plan. I think we had a very, very quick car so a lot more would have been possible. Unfortunately my weekend didnâ€™t go perfectly. But thatâ€™s why Iâ€™m really looking forward to this race here. Itâ€™s back to high-downforce package where Lewis won last with this package in Hungary, so Iâ€™m confident we can be very quick again this weekend. Q: A track you quite enjoy as well, Iâ€™d have thought. NR: Yeah, for sure. Iâ€™ve had great results here in the past and really enjoyed the track and thatâ€™s why Iâ€™m looking forward to it. Q: Have you enjoyed this season? There have been two tremendous highs but some frustrating moments as well. NR: In general Iâ€™ve really enjoyed it, yes, because itâ€™s the first time in my career that Iâ€™ve really had a car that on numerous occasions I can win races with. Thatâ€™s a great feeling. To come to a race track knowing I can put it on pole, I can win the race, itâ€™s really nice. Q: (Paolo Ianieri - La Gazzetta dello Sport) Kimi, you said last year that when you left Ferrari you felt liberated. So what made you decide to go back and lose your - in brackets - freedom? KR: I always had freedom there also. There are a lot of stories from my past, from different teams but itâ€™s all from you guys and I donâ€™t think that you guys work in the team so you donâ€™t really know whatâ€™s happening and you write a lot of stuff which can sometimes be true and sometimes not. I had a good time, like I said, and Iâ€™m sure we will have a good time together again. Q: (Jacob Polychronis - F1Plus.com) Kimi, some other drivers have been quite quick to already suggest that your partnership with Fernando Alonso may not work out, namely Jenson and Sebastian. Do you care to weigh in on the issue? KR: I donâ€™t see the reason why it wouldnâ€™t work. We are all old enough to know what we are doing and for sure the team is working for the right things to make sure. If there is something, Iâ€™m sure we can talk it through. Itâ€™s not like we are 20-year old guys any more. I might be wrong, but time will tell, but Iâ€™m pretty sure everything will be good. For sure there will be hard fights on the race circuits but sometimes things go wrong... like I said, Iâ€™m pretty sure it will all be OK.
Q: (Andrea Cremonesi - La Gazzetta dello Sport) Kimi, Mr Montezemolo said in an interview in our newspaper that he expected victories and poles from you, but also that you can help Alonso to develop the car. Are you ready to spend more time in Maranello, like Fernando, to stay there even more than in the past? KR: Itâ€™s a pretty similar answer to before. There are a lot of stories but I think weâ€™ve done pretty well in this team when we started and I donâ€™t see any reason why we shouldnâ€™t be able to produce a very good car for next year and keep improving it. Obviously there are new rules so it will be more challenging for all the teams but I have no worries about those things. Q: (Luc Domenjoz - Le Matin) Kimi, it seems that Lotus owes you a lot of money, so the question is simple: why, if the team doesnâ€™t fulfil its part of the contract, why do you respect yours and why donâ€™t you simply stay at home? KR: I like to race and then obviously thatâ€™s the only reason why Iâ€™m here; it doesnâ€™t matter which team it is and obviously the reasons why they ask from the team but the reasons why I left from the team is purely on the money side, that they havenâ€™t got my salary so itâ€™s an unfortunate thing but like I said, I want to try and help the team as much as I can and I like to race. Q: (Fulvio Solms - Corriere dello Sport) Kimi, referring to your next team mate, what do you think will be possible to learn from him next year and can he learn from you? KR: For sure, you always learn from different team mates; everyone does different things. Maybe they do something better than you but often there are a lot of things that only suit one guy and it doesnâ€™t work if you try to do the same thing for yourself, itâ€™s not going to work. I know the team, I know the people. Like I said, I have no worries to go there and have something that wouldnâ€™t work. I donâ€™t really worry about it, Iâ€™ve never worked with Alonso. I obviously know him from racing but Iâ€™m sure it will be fine. Q: (Chetan Narula - Planet F1) Adrian, how important is it for Force India to beat McLaren, considering there is just a five point gap and quite a few races to go, also considering that extra points means extra money in the Constructorsâ€™ standing, especially for a middle team going into 2014, which is a highly... the rule changes and everything for a middle team to go forward and to develop, so how important is it to beat McLaren? AS: It would be a great success, of course. We are a few points behind now and itâ€™s a very high target to complete but we showed, with a good car, itâ€™s possible also to fight against McLaren and well, what can we do, we are professionals so we want to finally actually win races, which is why weâ€™re all here. Thatâ€™s why we never give up so at the end of the season, who knows whatâ€™s going to happen? We only know that itâ€™s a big challenge to beat McLaren but itâ€™s not impossible and thatâ€™s why weâ€™re pushing on. It would mean fifth position for us at the end of the year, thatâ€™s two better than last year and that means much better financial backing, of course, for the next year. So you can think about it by yourself, that definitely means a better chance for us next year to compete even better. Q: On the flip side to that, Sergio, how important is it for you and everyone at McLaren to finish ahead of Force India this year? Is it a fight and a battle that youâ€™re taking a lot of notice of? SP: Yes, of course. Itâ€™s not a secret that we havenâ€™t had the year that we were hoping for so we definitely have to try and finish as high as possible in the next seven races that we have ahead of us and maximise the full potential. Last weekend in Monza, we should have got more points than we did so I think we definitely have to make sure that we bring home all the points that we can. If at the end we beat Force India, itâ€™s good for us. Q: (Dan Knutson - Auto Action and National Speedsport News) Nico Rosberg, at the start of the season the momentum was on your side; then it switched to Lewis. For the latter part of the season, how do you get it back onto your side? Is it just a matter of letting things unfold? NR: Iâ€™ve just had a few races now when itâ€™s just not gone perfectly, a string of races and that gives a little bit of a dip but Iâ€™m really confident I can turn it around and get some good races again from now on. Q: (Abhishek Tackle - Mid-Day) Nico Hulkenberg, last year you were linked to a Ferrari drive; this year there was actually a contract on the table before the deal with Kimi was agreed. Is there any sort of resentment that you feel towards Ferrari, especially the way that you found out that you hadnâ€™t got the drive, I think it was an SMS or something? NH: No, not at all to be honest. I think the relationship is as good and as positive as before. I think there has maybe been some understanding and that story has been blown up by the media. I read that too but no, I donâ€™t feel that. Q: Were you not contacted by text message then? Q: (Luke Smith - NBC Sports) Valtteri, at Singapore, traditionally, there is a high rate of attrition, lots of retirements, thereâ€™s been a safety car in every race here; is this your best chance to score points this season do you think? VB: I think so, this should be the place to get the points. Like you said, a lot of things can happen in the race and safety cars etc. Like I said before, if some of the little updates work and we can get a little more speed and be a bit closer to the top ten in pure pace, then itâ€™s always possible to get points and we need to keep pushing for that. 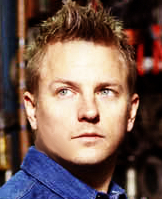 Q: (Andrea Cremonesi - La Gazzetta dello Sport) Kimi, in your choice of Ferrari, is there also a technical reason? Iâ€™m thinking about the turbo era; do you think that Ferrari building both engine and chassis could be a better chance of being a competitive car than Red Bull or Lotus next year? KR: Obviously I hope so. They built very good cars and engines in the past, theyâ€™ve won a lot of championships as a team and then you have to look on the other side at teams like Red Bull or Lotus with Renault who have done very well. Itâ€™s very hard to say which way itâ€™s going to go with the new rules and whoâ€™s going to have the best package. There are a lot of stories about certain engines that will be much stronger than others but there are so many different things that you have to look at and go through and make sure that it works that I have no idea which team will be strongest and which team will come out on top. We have to wait and see, really, for the first few tests. Q: (Chetan Narula - PlanetF1) Nico Rosberg, itâ€™s a continuation of the last question for you: for 2014, teams are looking to get the two strongest drivers to get them more points, considering itâ€™s going to be an unpredictable season. Lewis and your partnership was considered to be a very strong one, especially when Red Bull went for Daniel Ricciardo instead of Kimi. But with Kimi pairing with Alonso now, what are your thoughts on that? NR: I can just say that for us itâ€™s working well. We push each other and also through a weekend, pushing each other, stepping up our game, learning from each other so itâ€™s working really well and we get on well together. But thatâ€™s just for us. For other people, I donâ€™t know, we need to wait and see. Q: Is it vital to get on with your team mate? Do you have to or can you still compete well on the track if you donâ€™t get on with your team mate? NR: Well, get on, no, you donâ€™t need to get on but you need to show a certain respect, I think, otherwise it can go a bit wrong. Kimi Raikkonen alla Ferrari non Ã¨ una storia di passione, dâ€™amore, di rivincita. Ma Ã¨ solamente â€“ â€œsolamenteâ€� â€“ una storia di soldi. La fonte della notizia Ã¨ Kimi stesso che con il suo solito modo di fare un poâ€™ cosÃ¬, a caso, ha buttato lÃ una frasetta che certo non piacerÃ a Luca Montezemolo. â€œPerchÃ© ho lasciato la Lotus? Puramente per una questione di soldi â€“ ha spiegato â€“ Non mi pagavano e me ne sono andatoâ€�. Insomma: il richiamo del cavallino, il fascino di Maranello, lâ€™attrazione per il Rosso non câ€™entrano niente. Not the Ferrari Red! In Maranello the Green dollars rule. Kimi Raikkonen returns to Italy to finally see the salary (which at Lotus he haven't seen). Otherwise he would have remained in England. Kimi Raikkonen at Ferrari is not a story of passion, love, revenge. But it is only - "only" - a story of money " title="roll" /> . The source of the news is Kimi himself with his usual way of making a bit 'so, by chance, he threw out the complaint that certainly will not appeal to Luca Montezemolo. "Why I left the Lotus? Purely a matter of money - he said - they do not pay me so I'm gone. "In short: the lure of the horse, the charm of Maranello, the attraction for the Red had nothing to do. It has to do rather green, green dollar. Color in honor of whom Kimi then decided to pacify the whole environment about an alleged (according to many, some) incompatibility with Alonso. "There is no reason why it should not work. We are no longer twenty years and are mature enough to know what we are doing and what is best for your team. Of course there will be tough battles on the track but then things go well I'm sure "